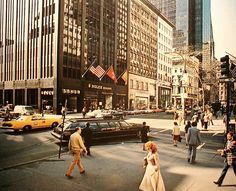 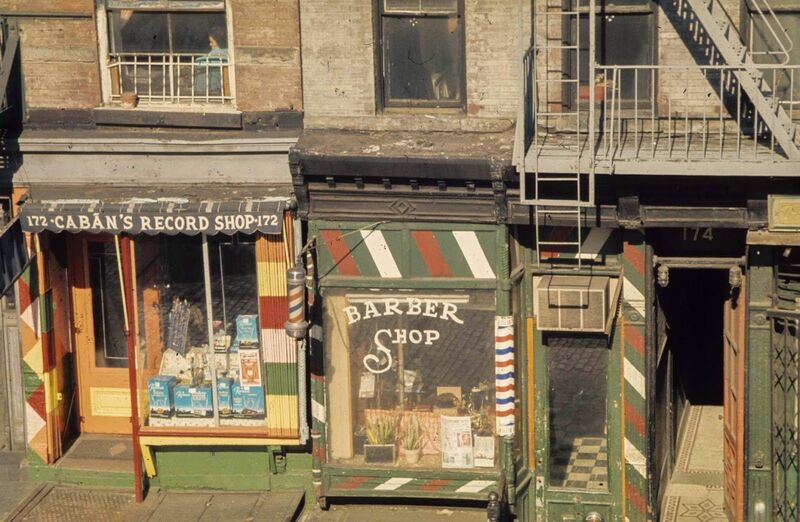 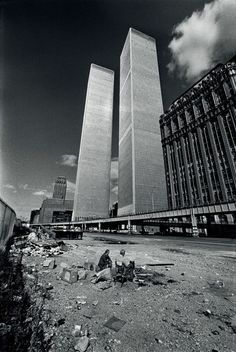 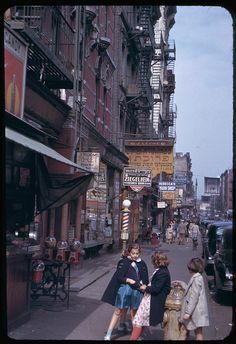 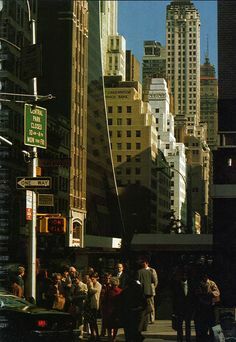 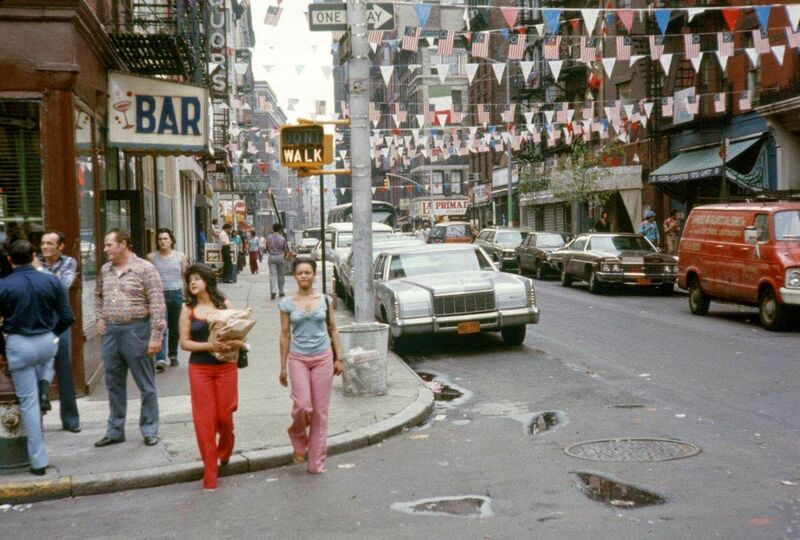 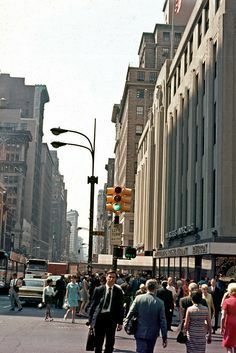 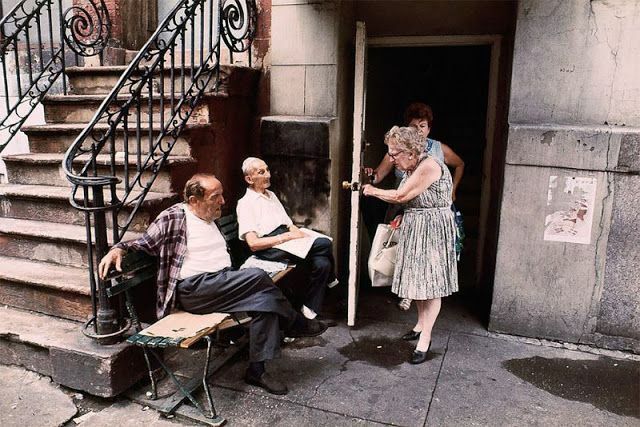 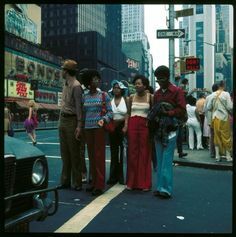 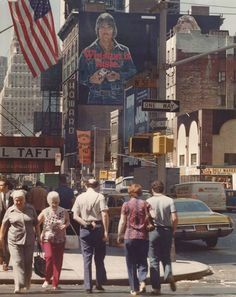 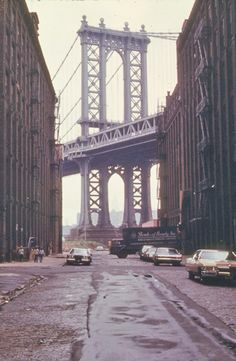 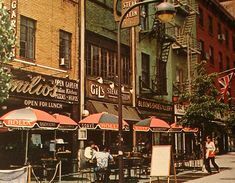 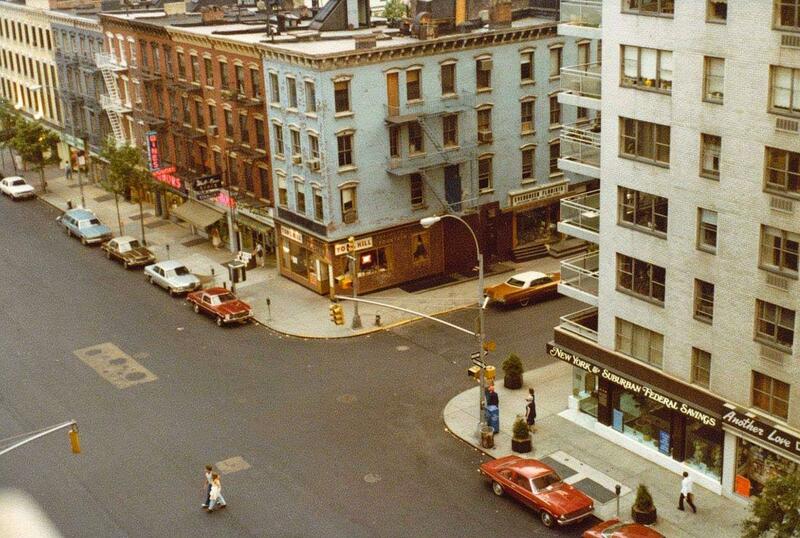 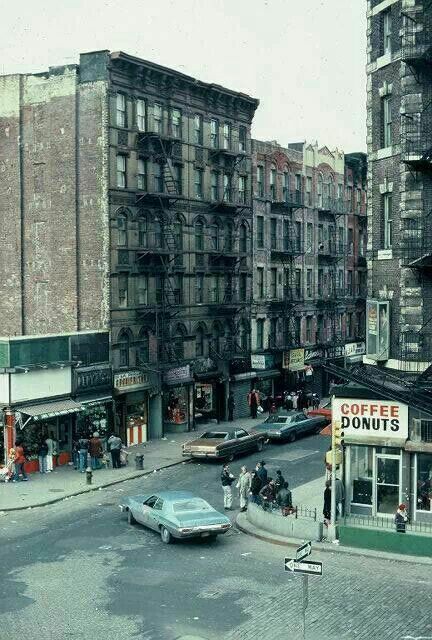 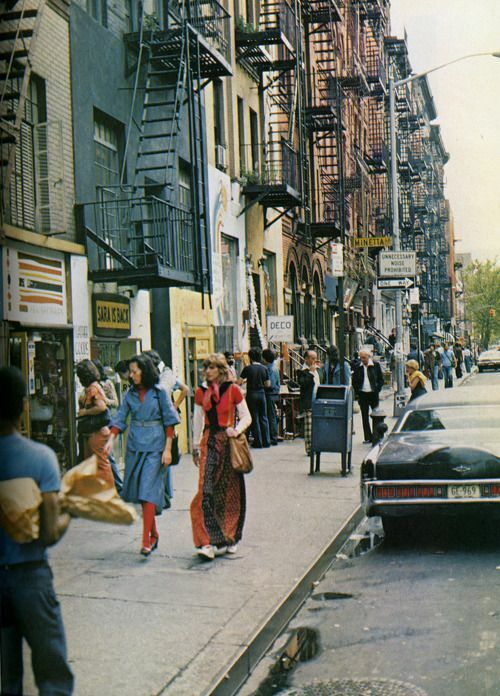 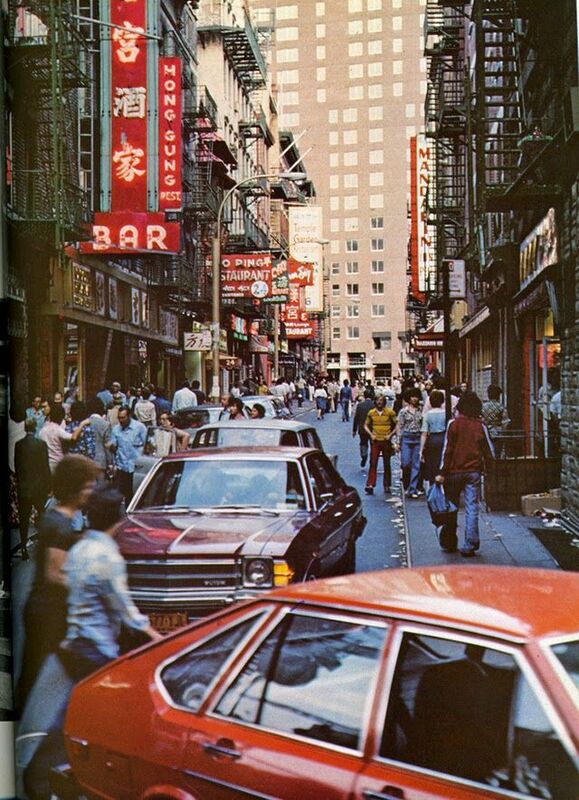 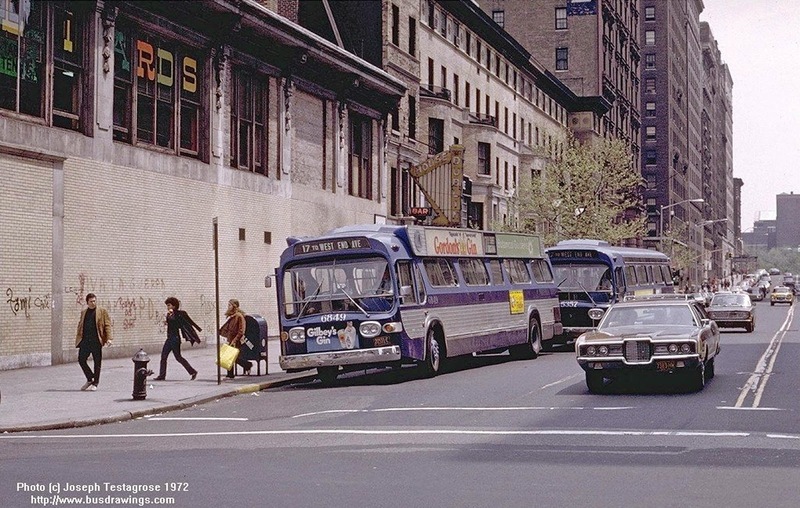 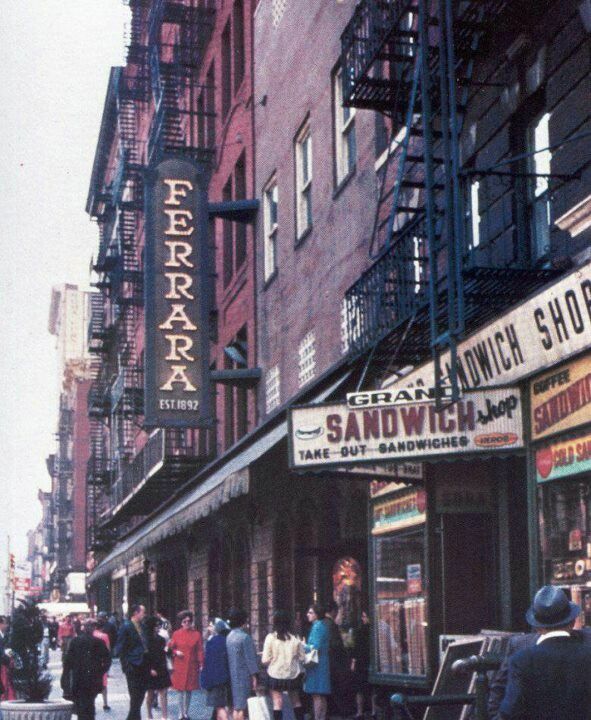 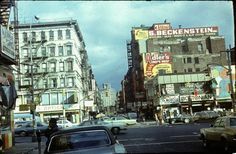 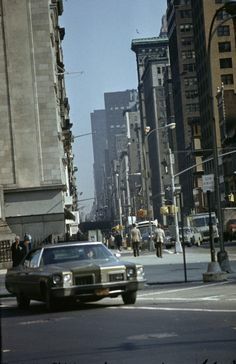 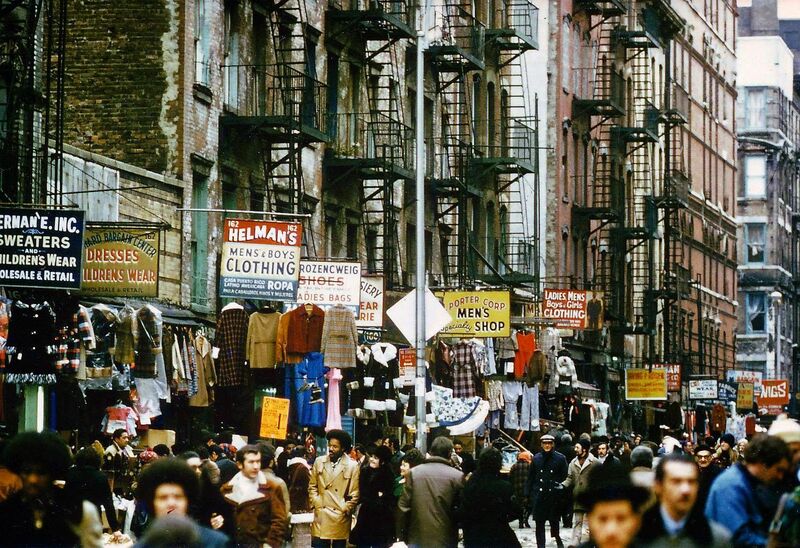 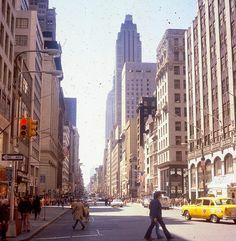 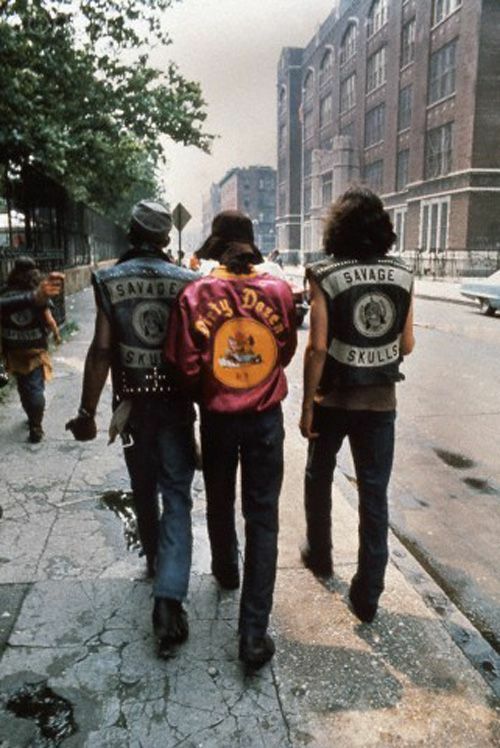 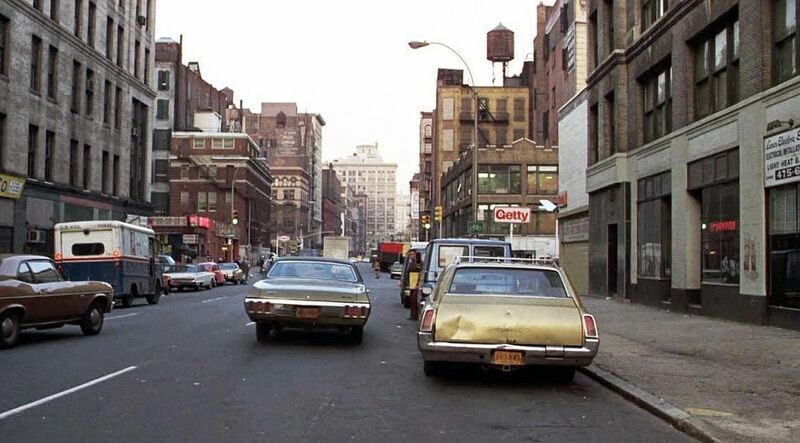 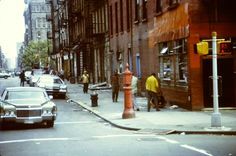 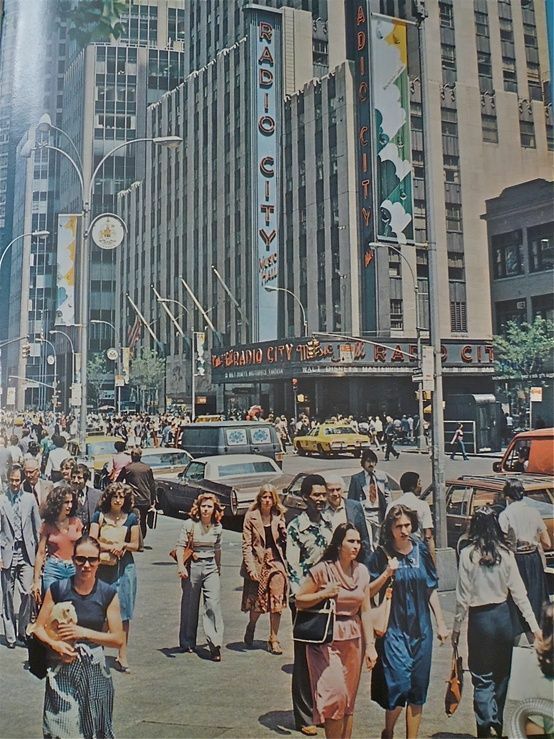 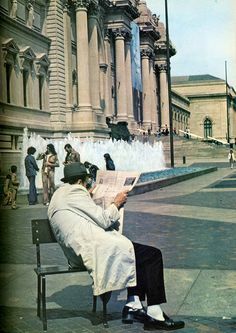 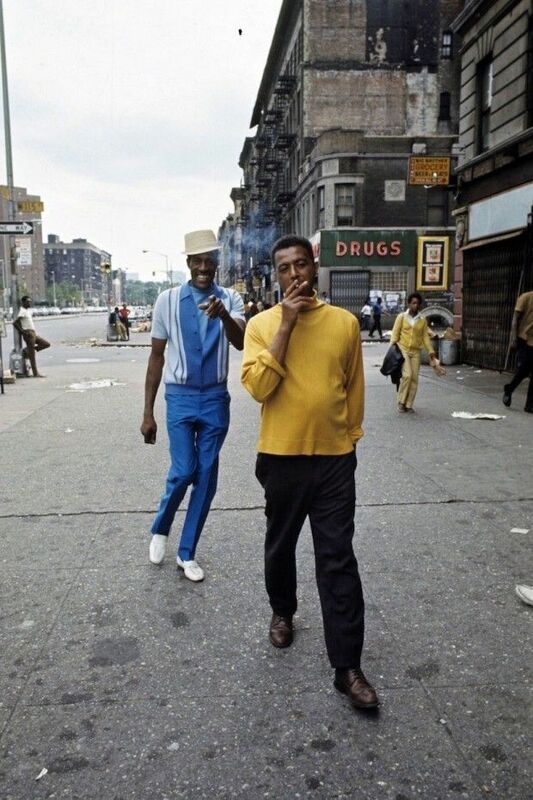 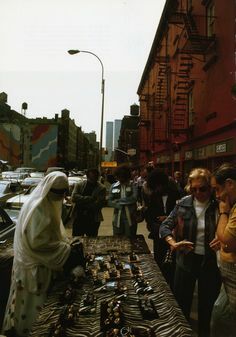 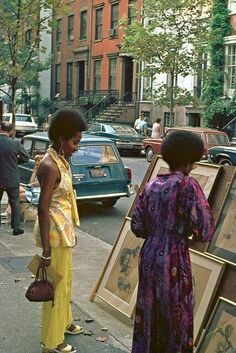 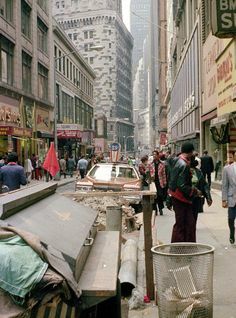 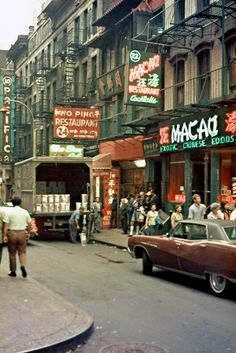 New York street -- looks like the early '70s? 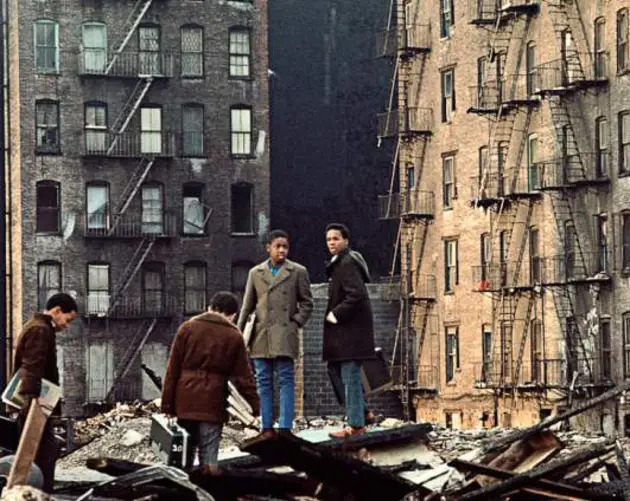 A Puerto Rican wedding floods into the streets of East Harlem in 1970. 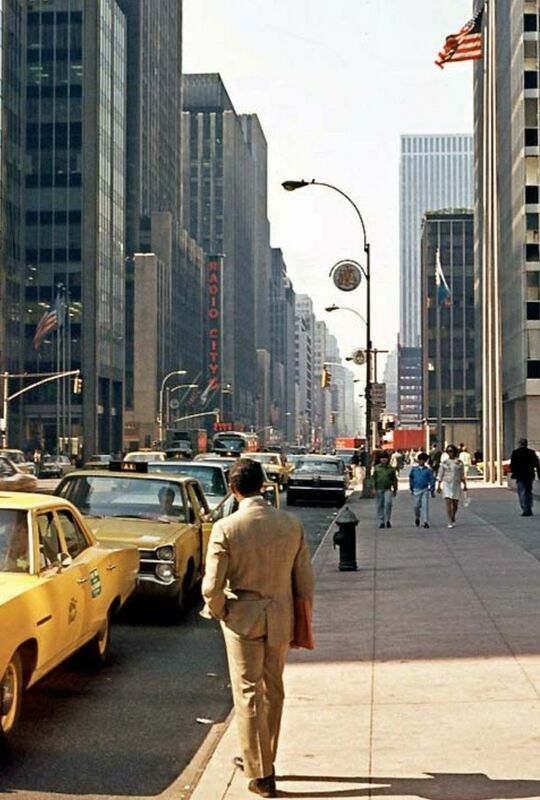 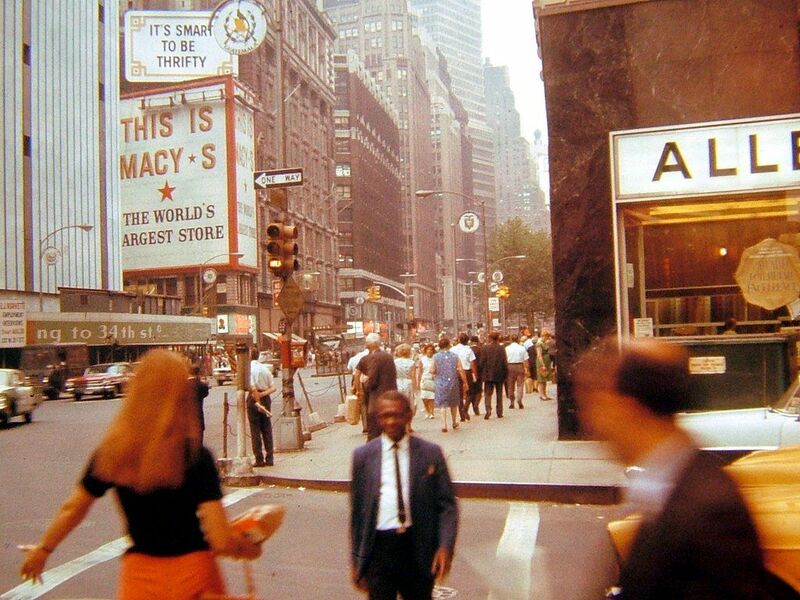 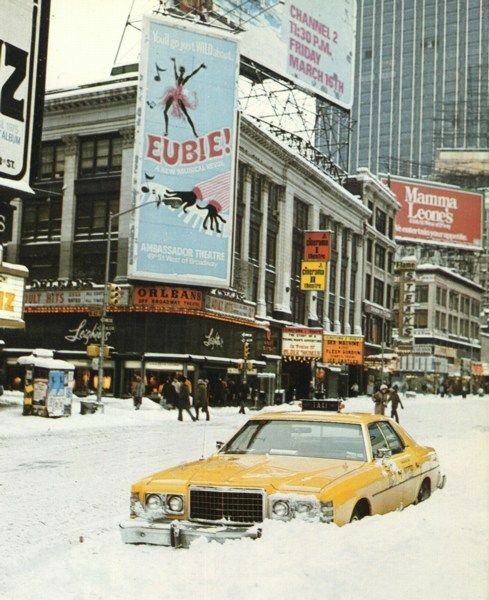 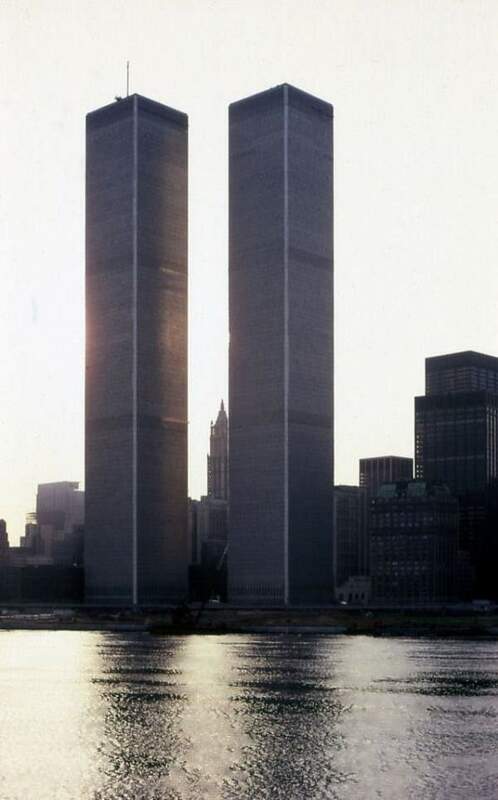 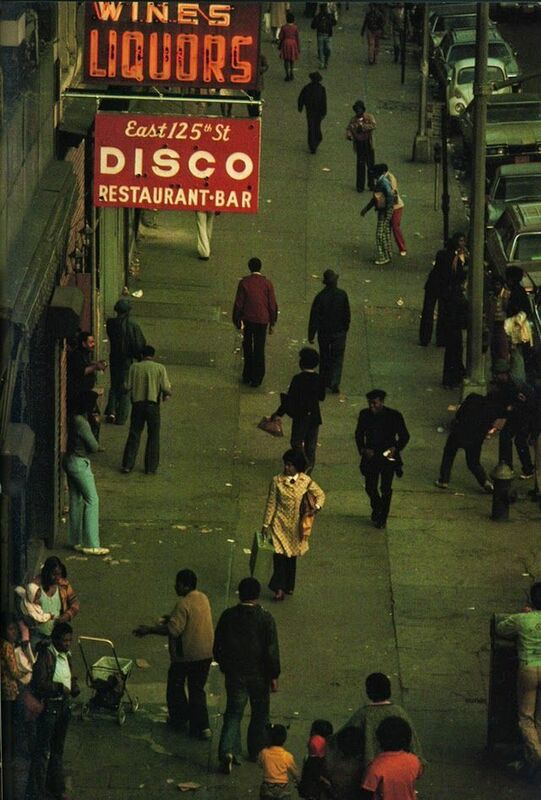 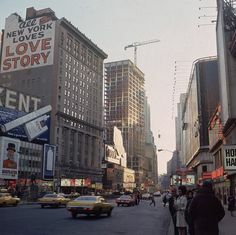 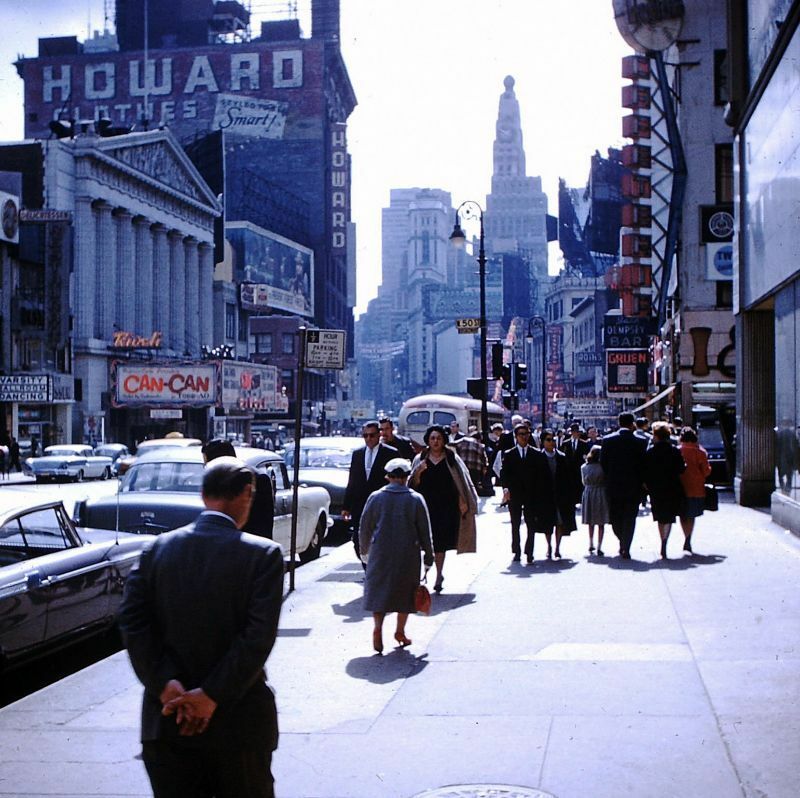 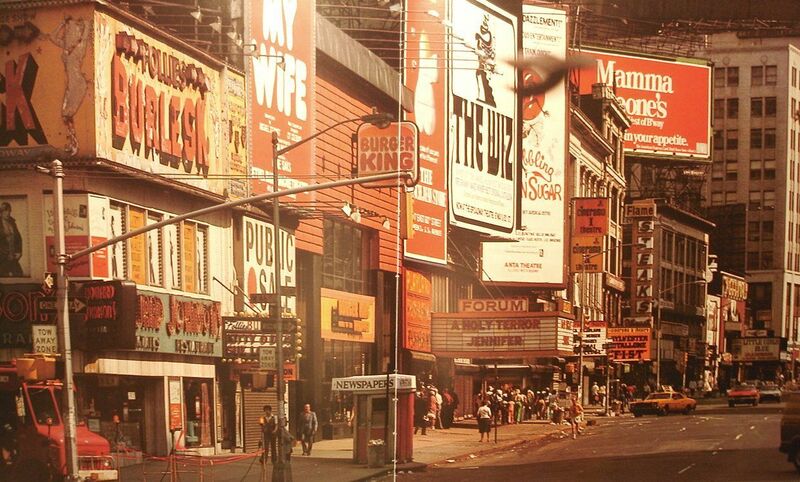 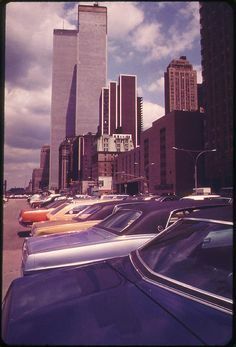 42nd Street, October, 1970. 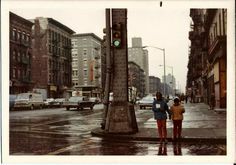 Nick DeWolf archive. 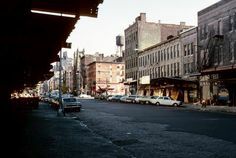 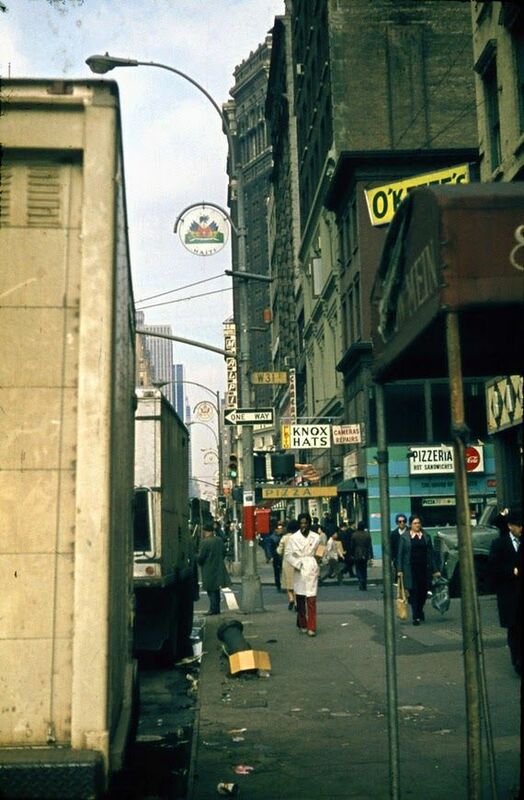 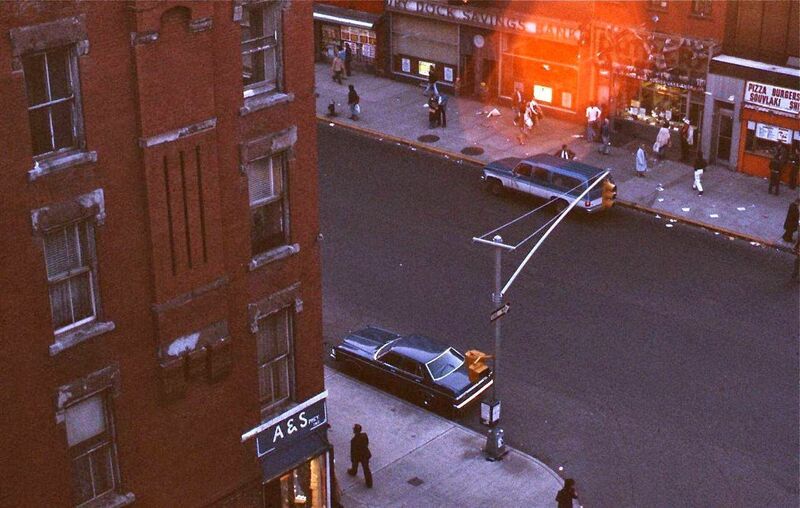 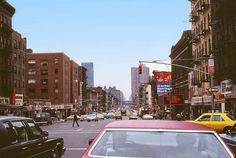 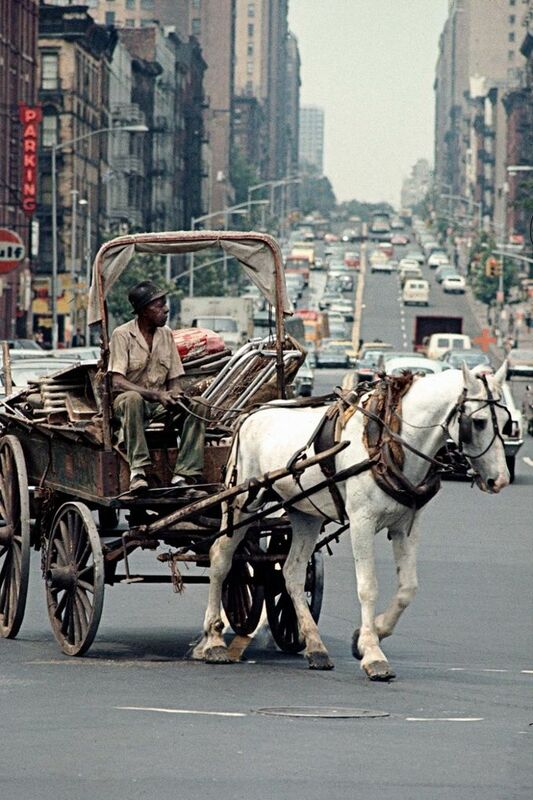 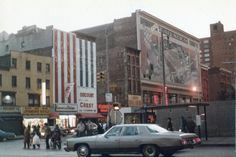 79th Street and Broadway, facing East, 1972. 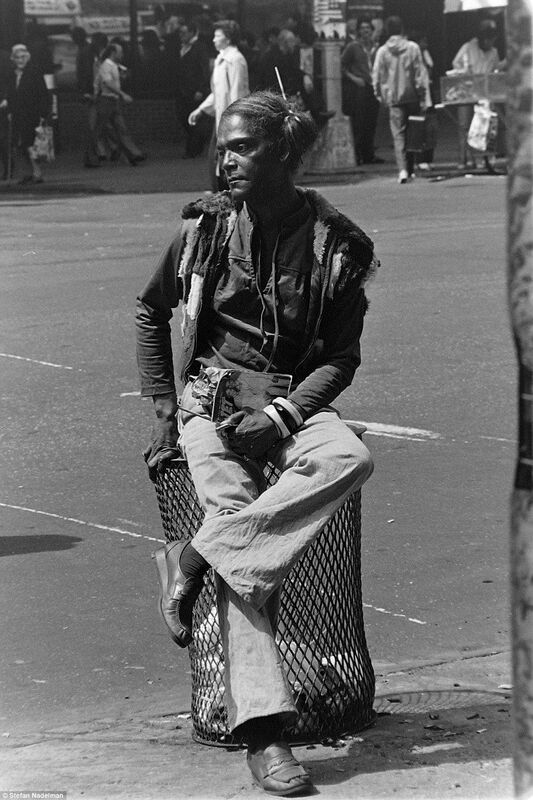 Photo by Joseph Testagrose. 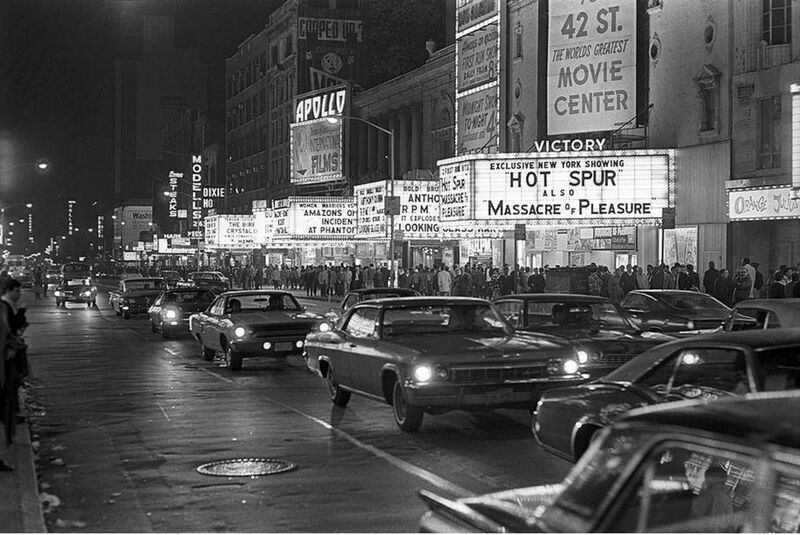 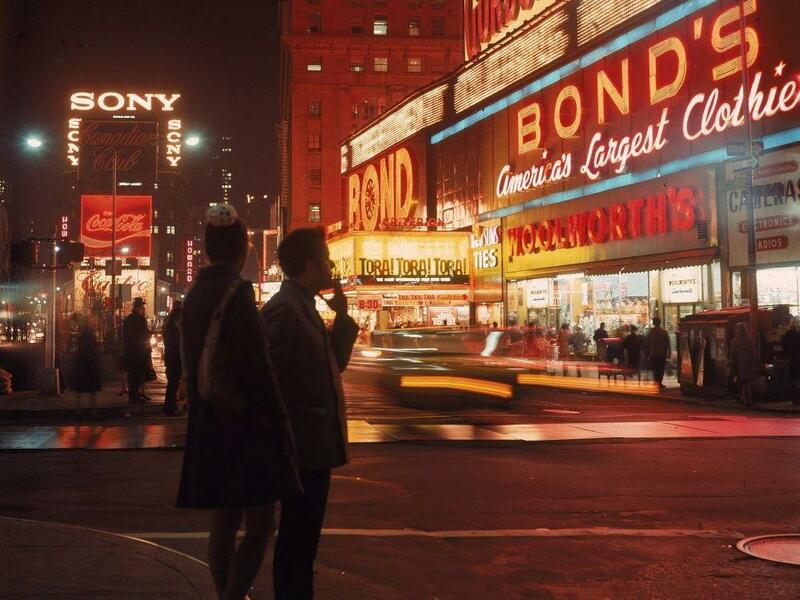 Times Square night in 1970. 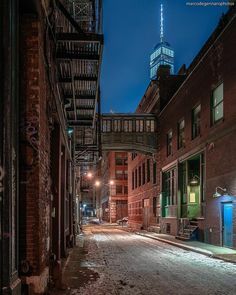 Photo by James Wolcott. 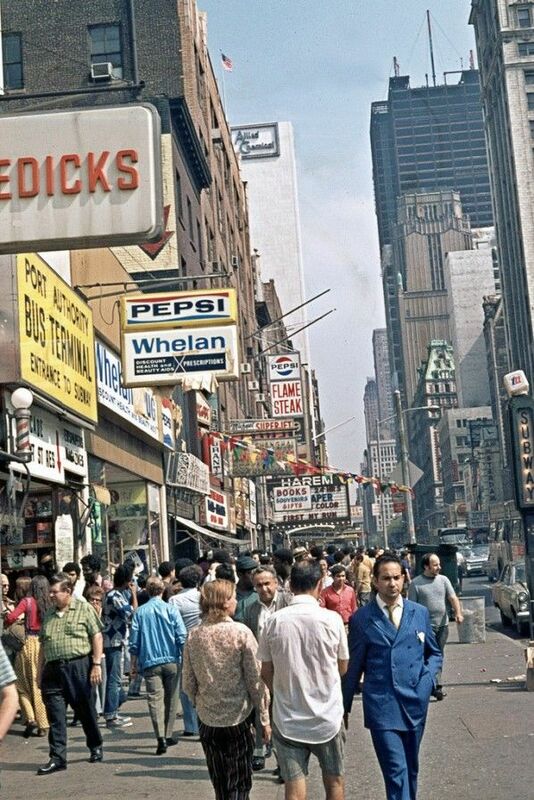 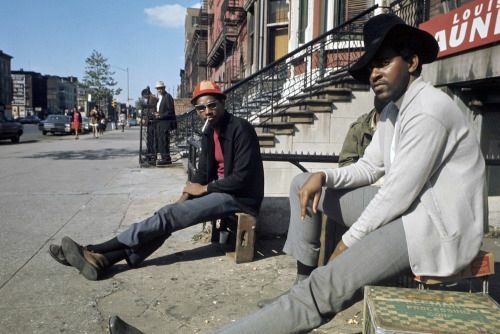 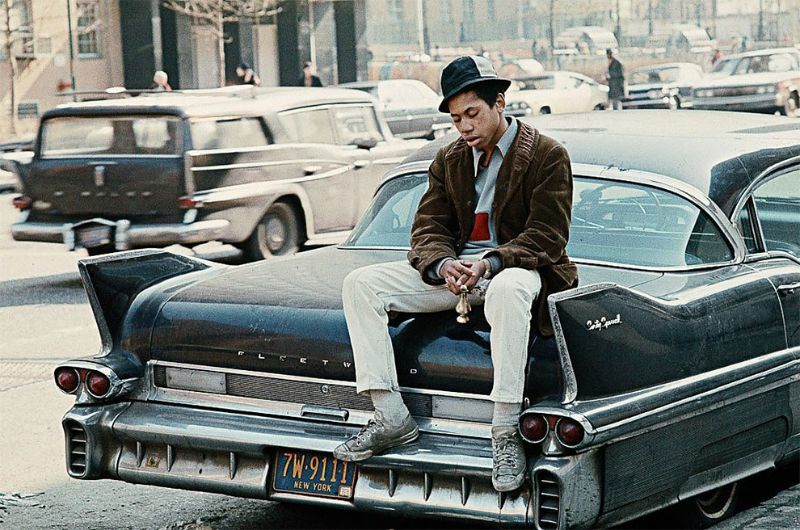 New York City street scene, 1960s. 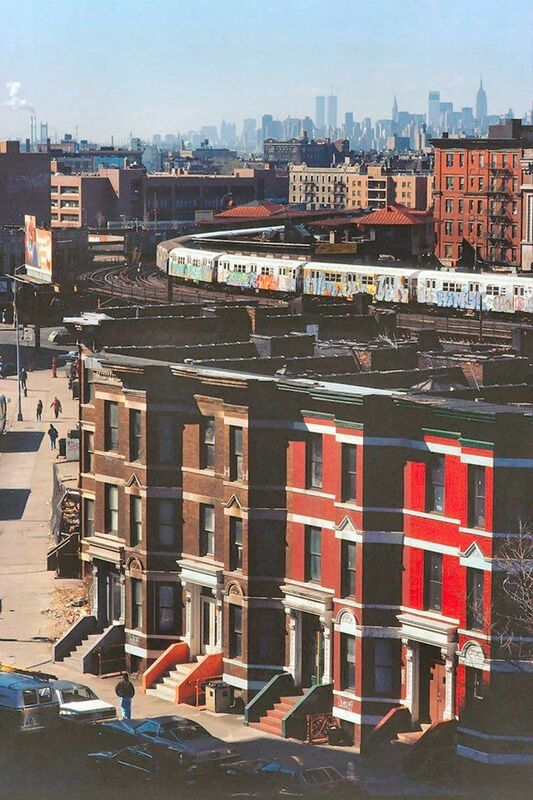 The Bronx and the view of Manhattan, 1989. 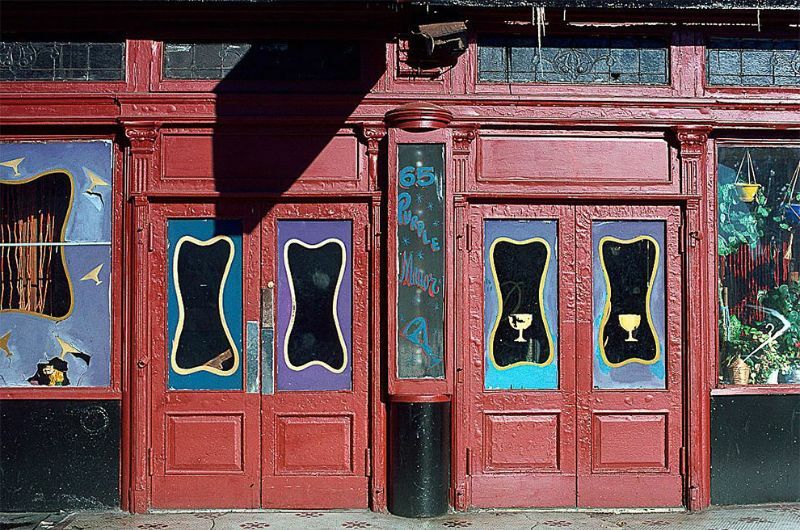 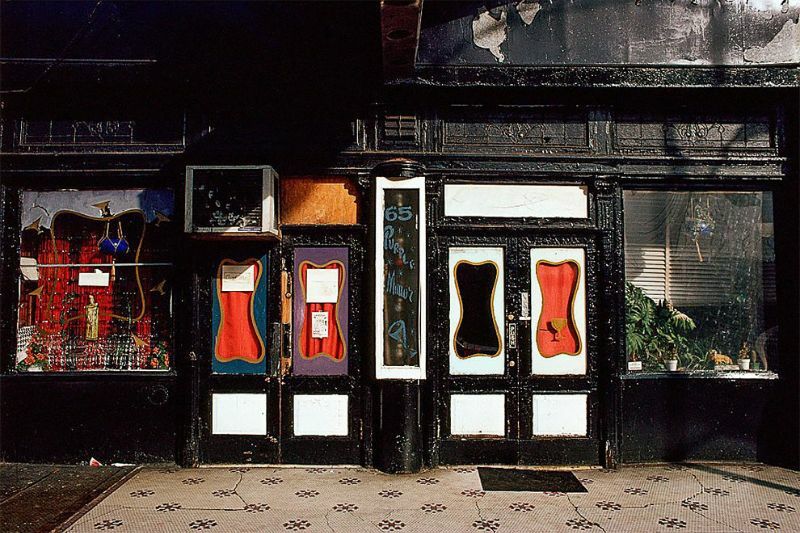 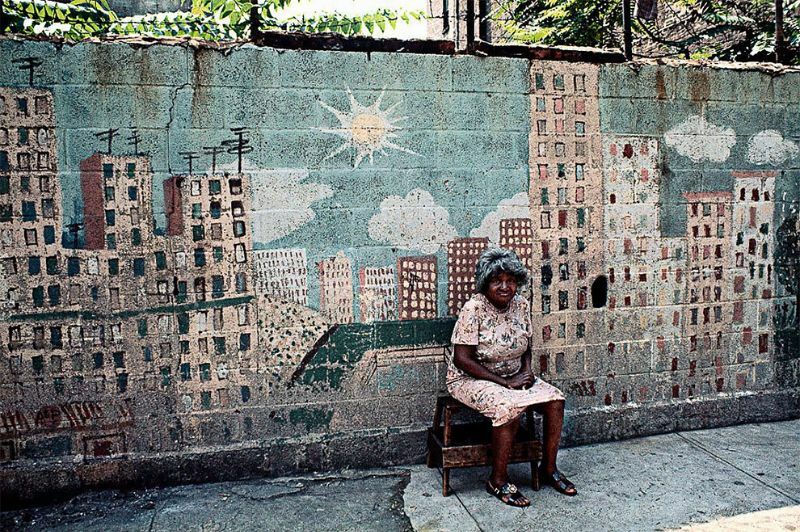 - This neighborhood has been home to many artists and still remains an inspiration nowadays. 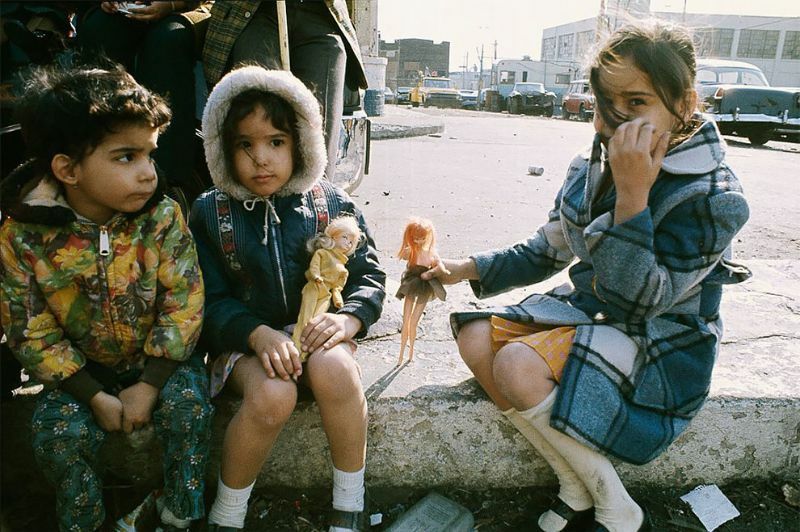 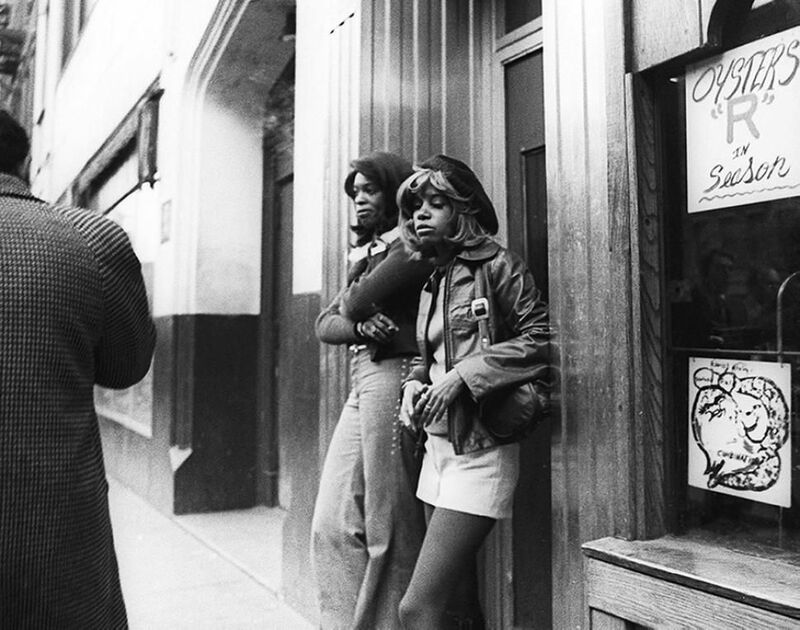 New York in the '70s: The Photos Love love love The Dolls. 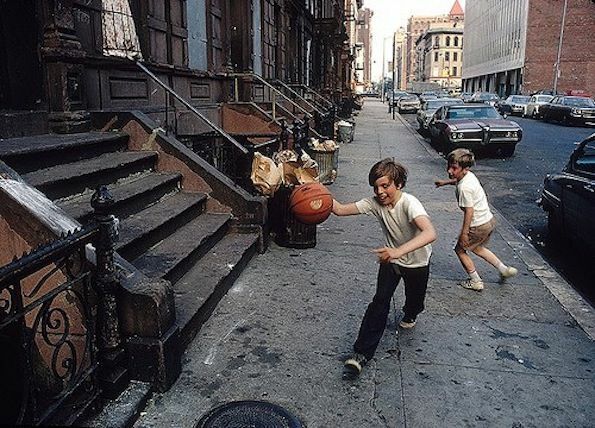 David Jo lived in my 'hood. 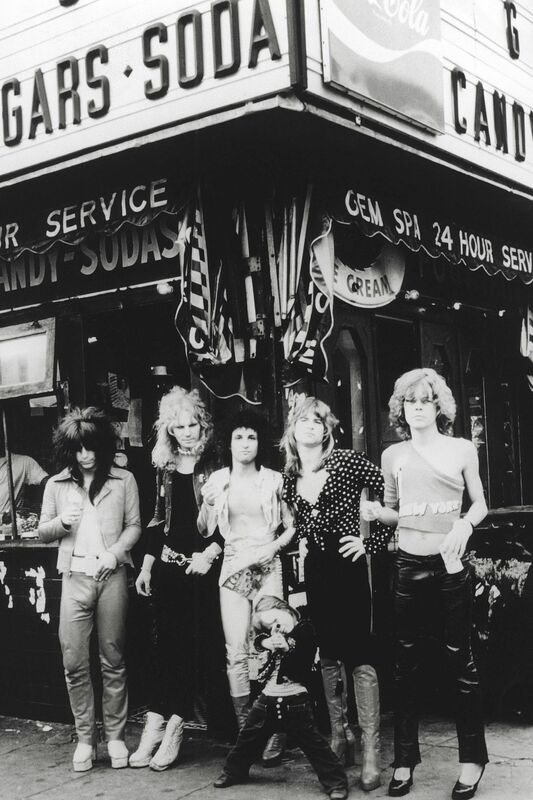 I met him at a bar when he was honing his Buster Poindexter persona. 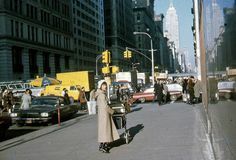 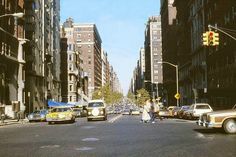 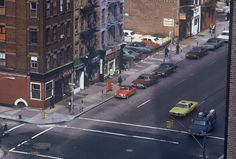 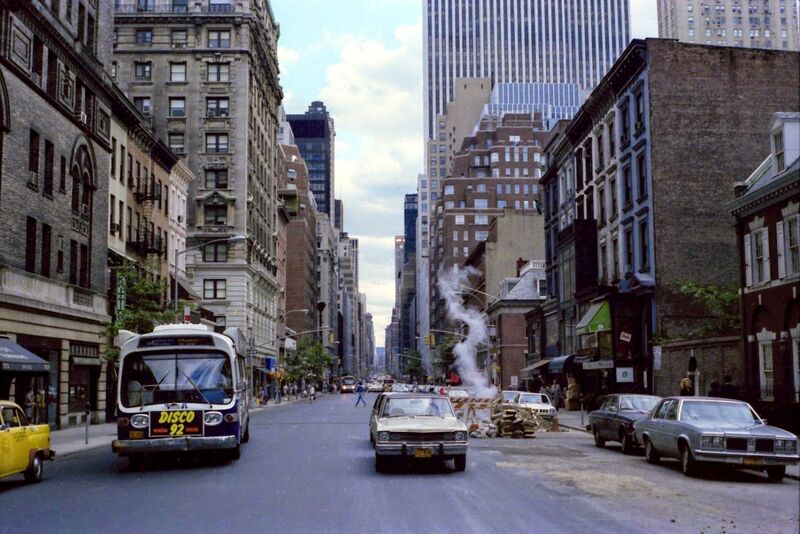 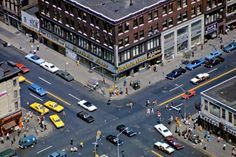 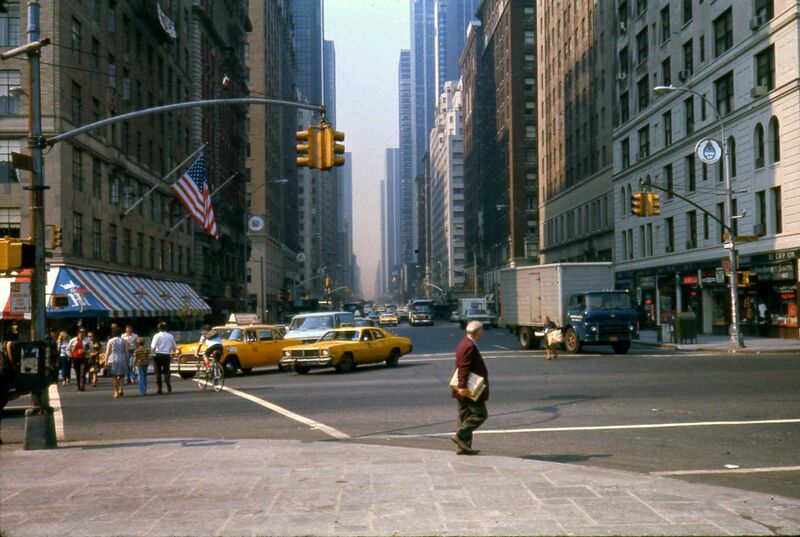 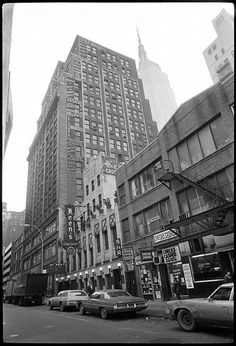 Third Avenue at 66th Street, facing Southwest, 1979. 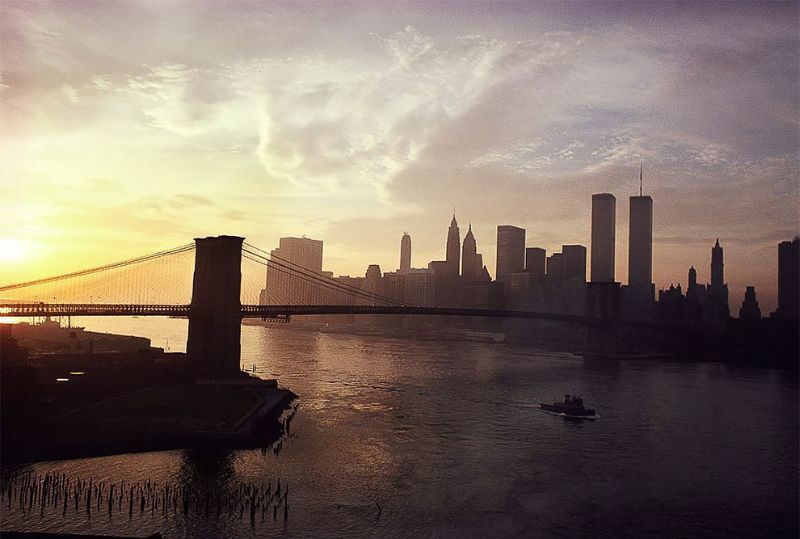 Photo by Alan Benjamin. 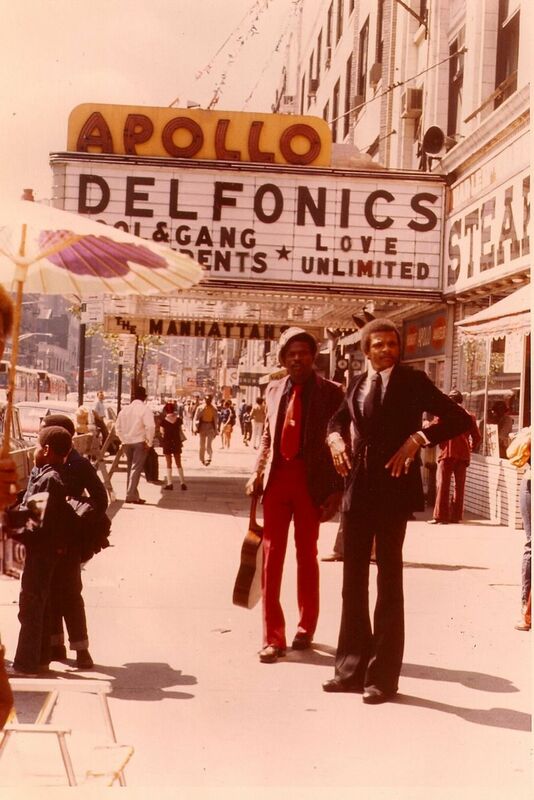 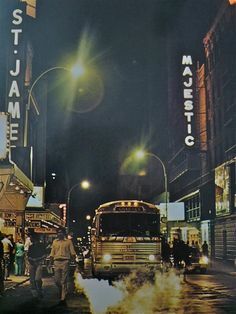 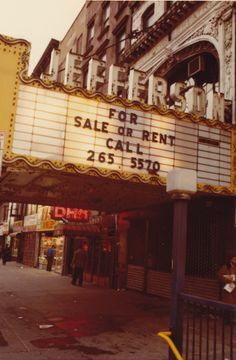 The Apollo Theater, 1970s. 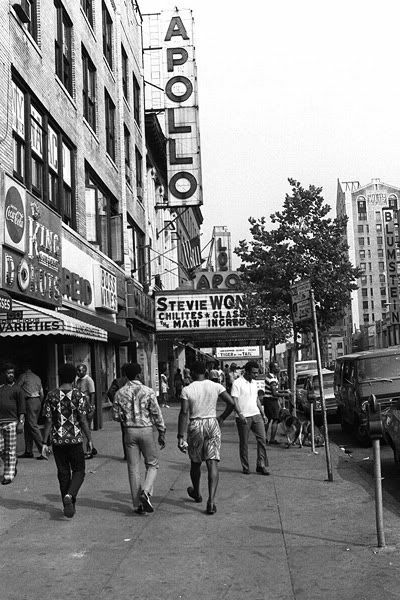 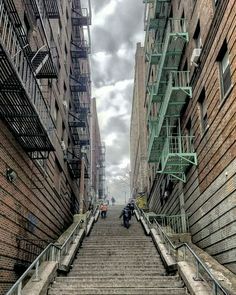 Harlem-Manhattan, New York City. 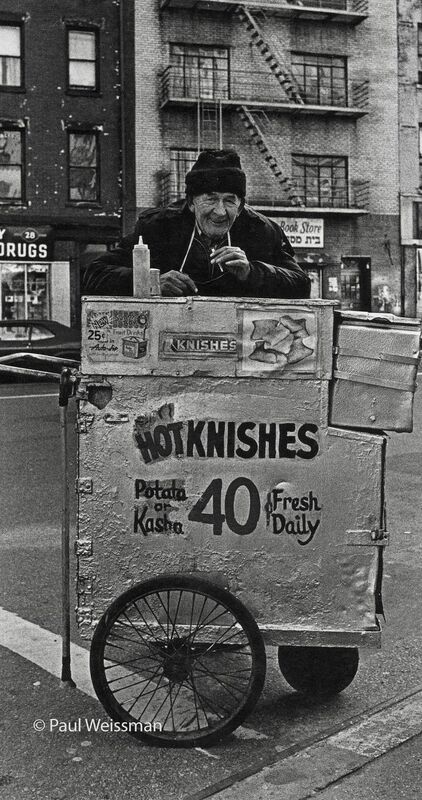 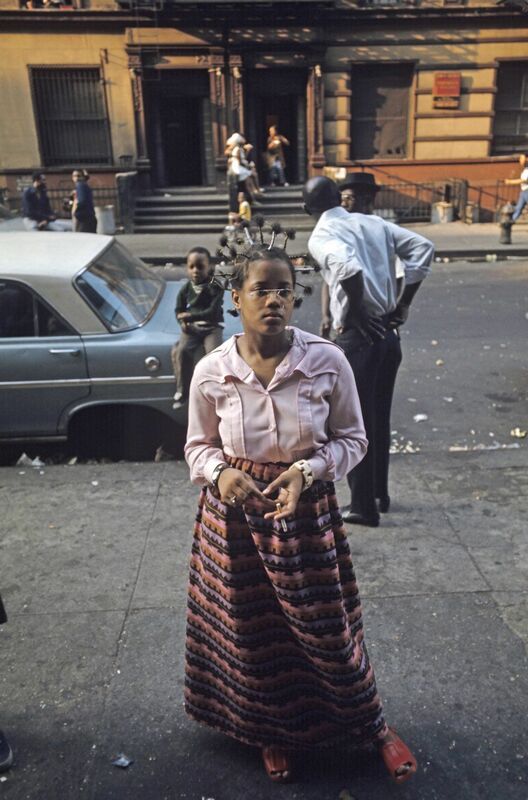 Hot Knishes Street Cart Vendor on the Lower East Side in 1970. 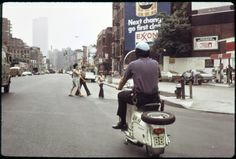 Photo by Paul Weissman. 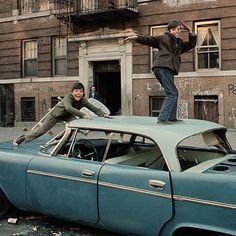 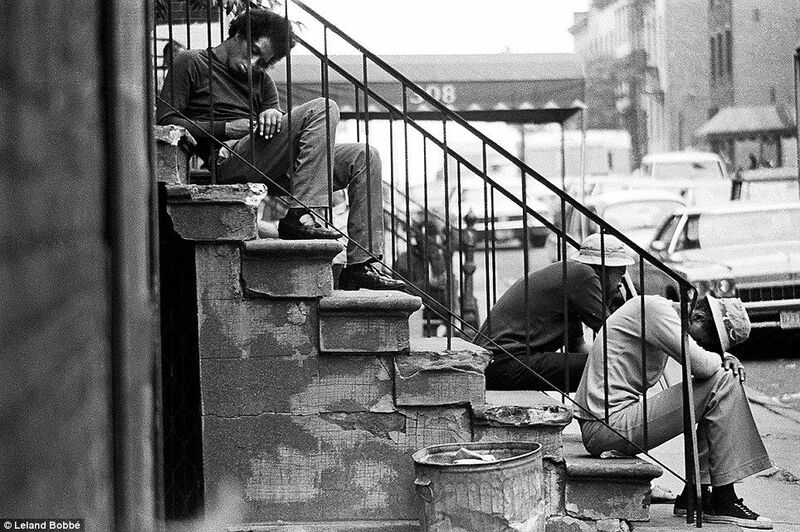 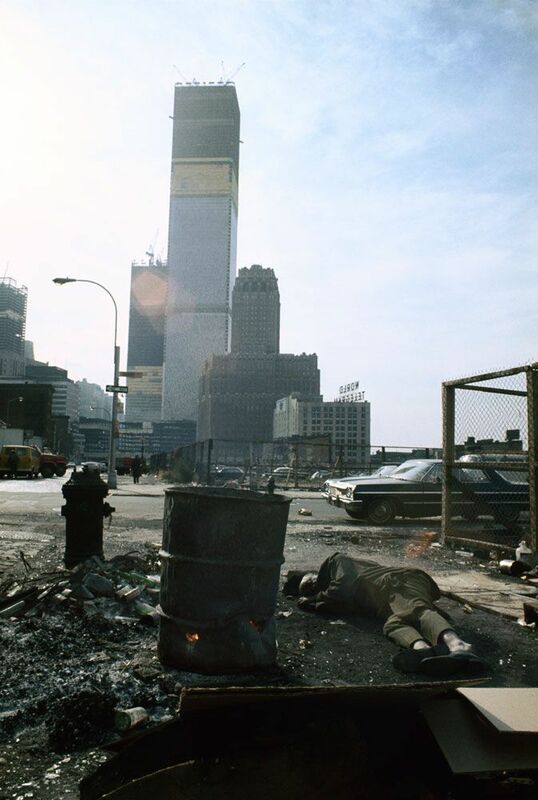 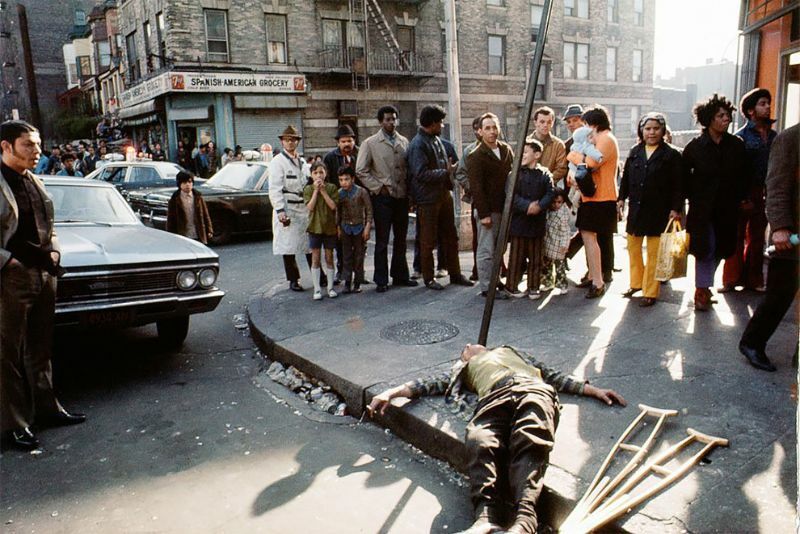 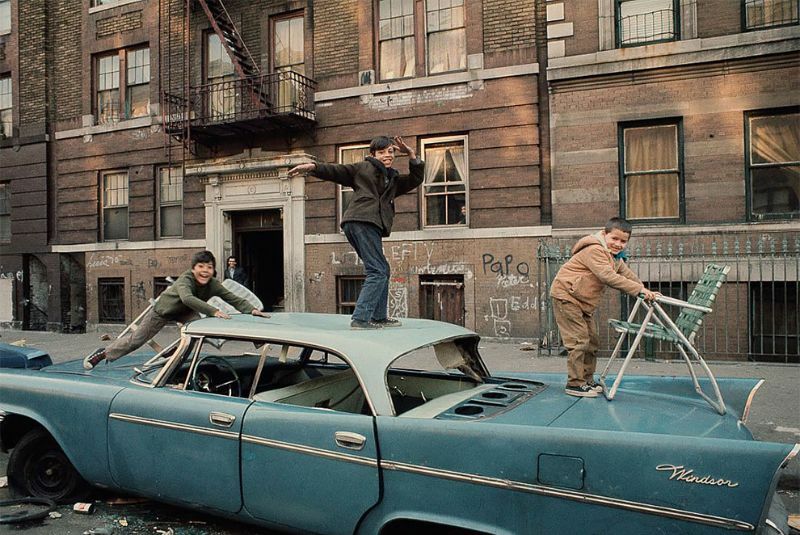 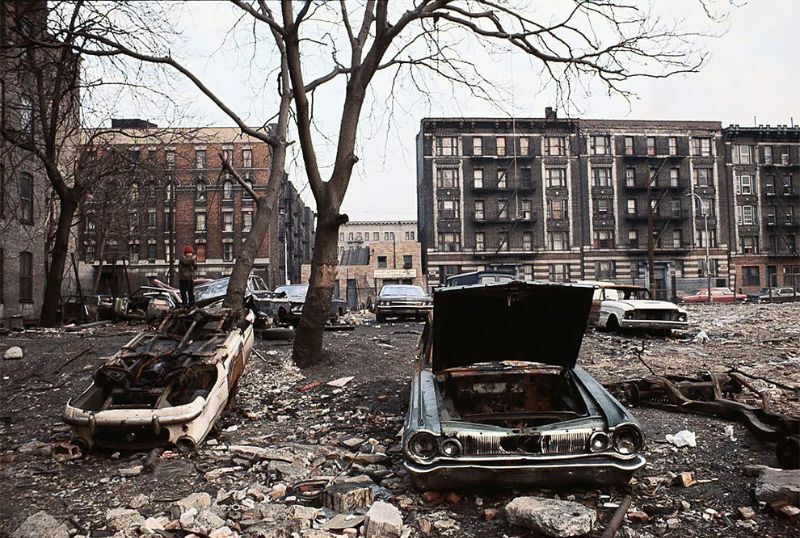 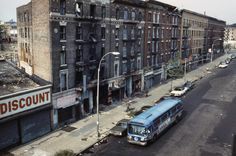 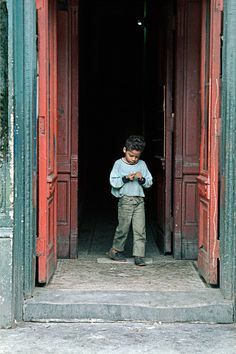 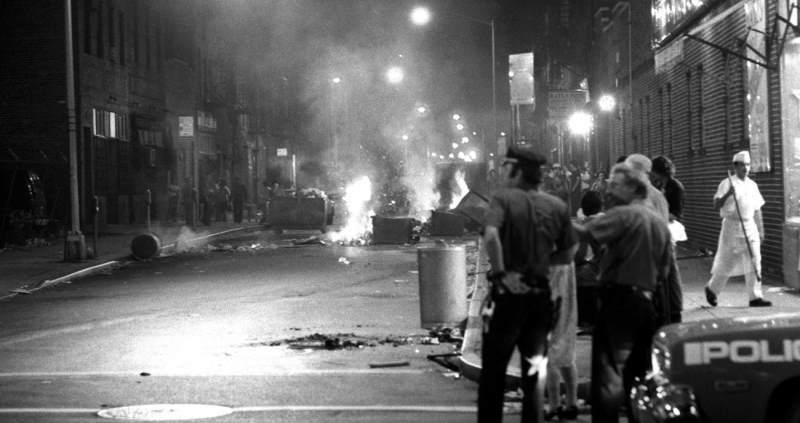 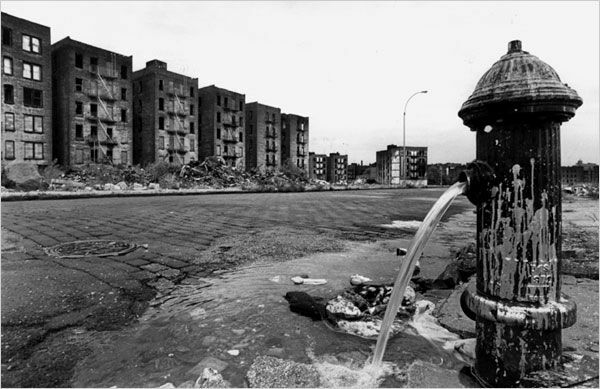 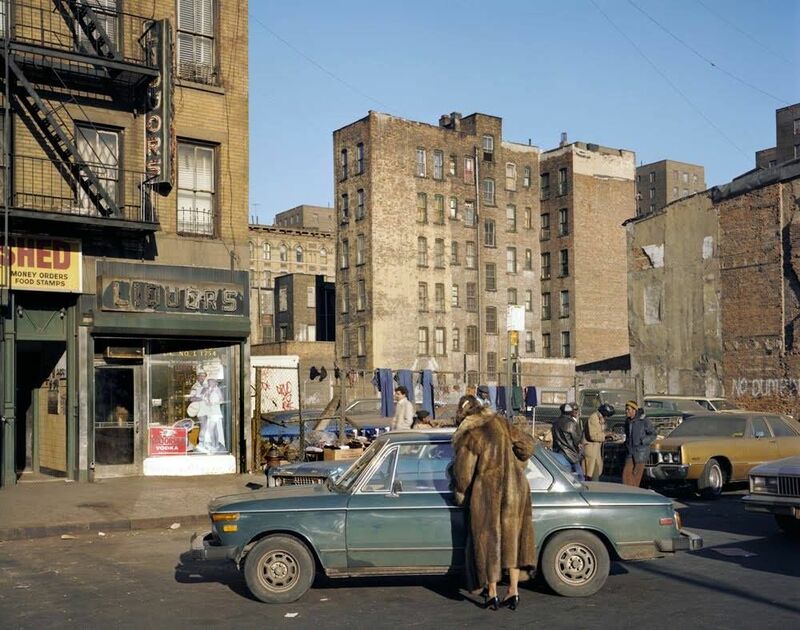 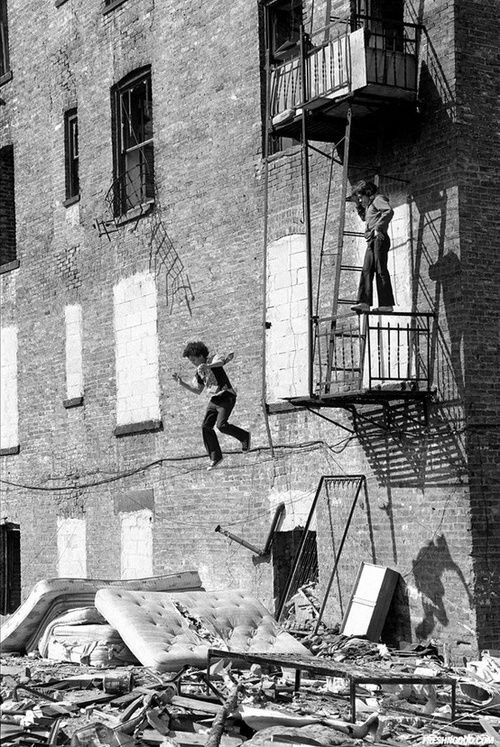 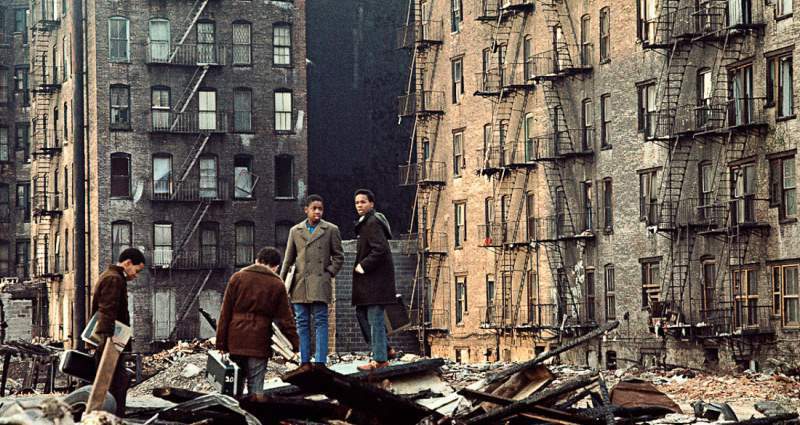 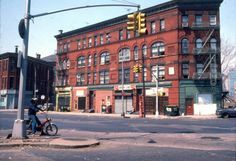 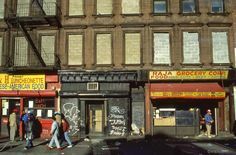 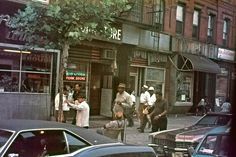 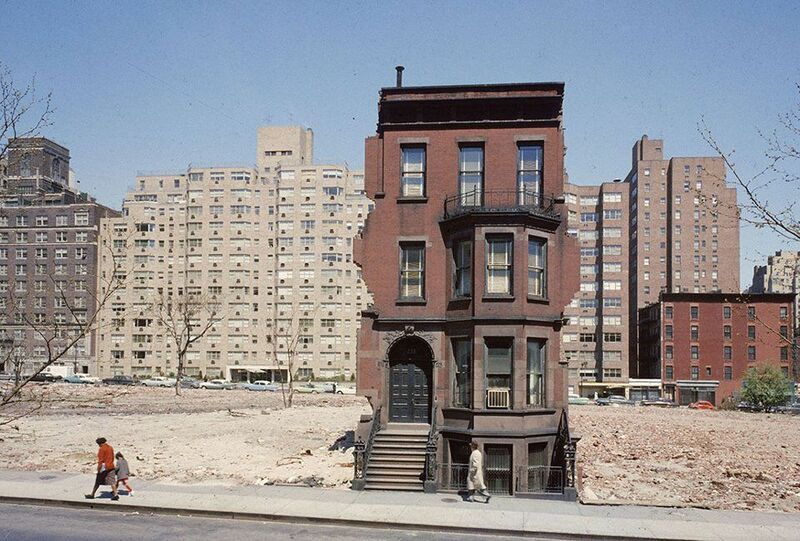 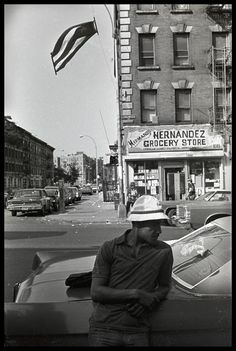 The desolation of Charlotte Street in the South Bronx in the 1970s.